Explore the home of the Dark Elves during the Morrowind Celebration Event and you can earn additional rewards for dailies, Event Tickets, and more! 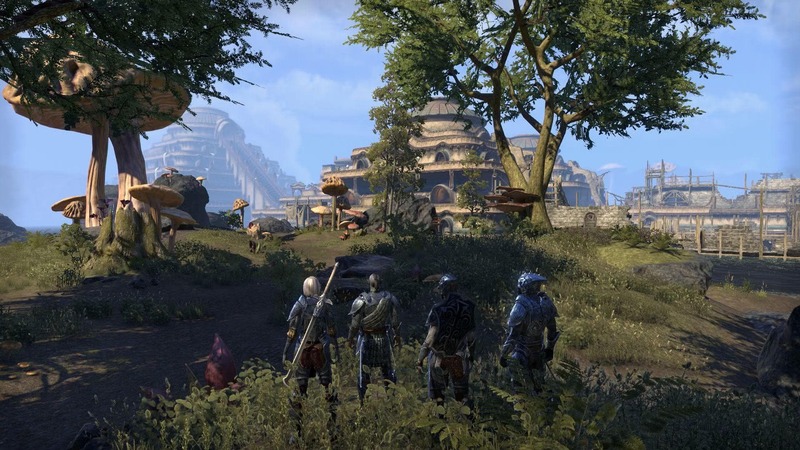 If you don’t have access to the zone, the Morrowind DLC will be on sale in the Crown Store throughout the event period for 1750 crowns (a 50% discount). 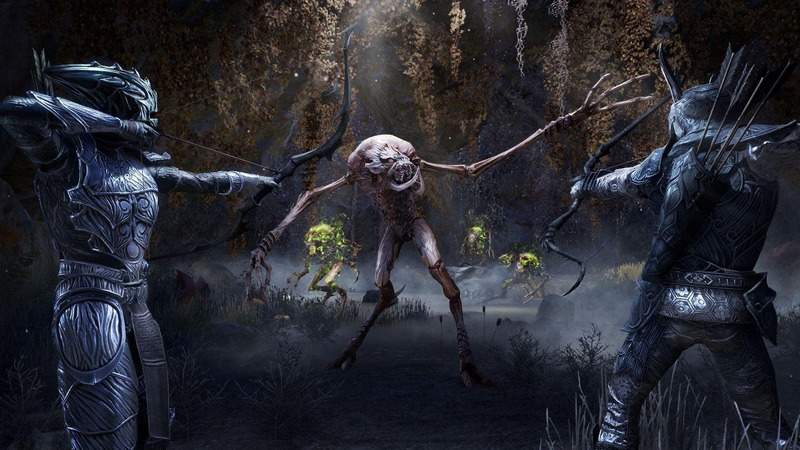 This includes access to the Morrowind zone and story content (note, not the Warden Class). 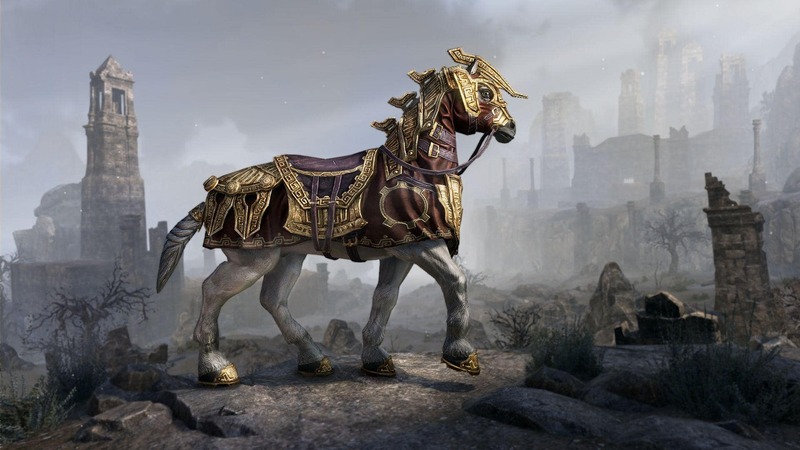 Mount: Dwarven War Horse - This loyal horse has been trained for warfare and will stick with you through every kind of conflict. Pet: Dwarven Spider - A loyal Dwarven Spider liberated from a Dwemer ruin and converted using the "Neramo Method." Bear Skin: Slate-Gray Summoned Bear - The greatest Wardens summon the mightiest animals. Emotes: PvP Taunts - Celebrate your victory in the battlegrounds with this bundle of exclusive emotes: Belly Laugh, Kiss This, Teatime, Go Quietly. Outfit Style: Morag Tong - Allows you to convert your gear to the Morag Tong style. In addition to the above, the adorable Vvardvark pet will be on sale, and both the Lord Vivec Furnishing Bundle and Telvanni Tower home (both furnished and unfurnished versions) will be returning to the Crown Store for a limited time. You can earn a total of two Event Tickets per day per account, with a possible total of 24 by the event’s end. Throughout the event, you will be able to buy Indrik Feathers, Dawnwood Berries of Bloom (introduced with January’s Midyear Mayhem event), and the new Dawnwood Berries of Budding from the Impresario merchant. When spending your Event Tickets, be sure to double-check the name of the berries you’re about to purchase. You only need one of each in order to evolve your Indrik. The Warrior-Poet himself, the demi-god known as Vivec, needs your help to reclaim his lost strength and uncover the mysterious forces working against him and the island of Vvardenfell. Will you come to the aid of all of Morrowind and return to the home of the Dark Elves? Let us know on Twitter @TESOnline, Instagram, or Facebook. The Morrowind Celebration event begins on Thursday, February 7 at 3:00PM GMT and will end on Monday, February 18 at 3:00PM GMT.